– Cassi Ronan scored four goals to put Franklin into the lead, but the Wolverines clawed back in the third period to go in front. Amanda Lewandowski scored with 1:30 on the clock to earn the Panthers a point and keep them unbeaten on the season. – Franklin sophomore Emma Owens and freshman Kate Rudolph placed first and second, respectively, in the all around to pace the Panthers. Owens scored a 35.55, including a 9.2 on the vault and 9.15 on the beam, while Rudolph had a 35, highlighted by a 9.0 on the vault and 9.0 on the floor. "After Canton stormed back from two goals down in the opening two minutes of the third period and with both teams create chance after chance in a fast-paced, end-to-end finish, both teams could have been forgiven for feeling content with going home from Wednesday night’s game at the Pirelli Veterans Arena with a hard-fought point apiece. 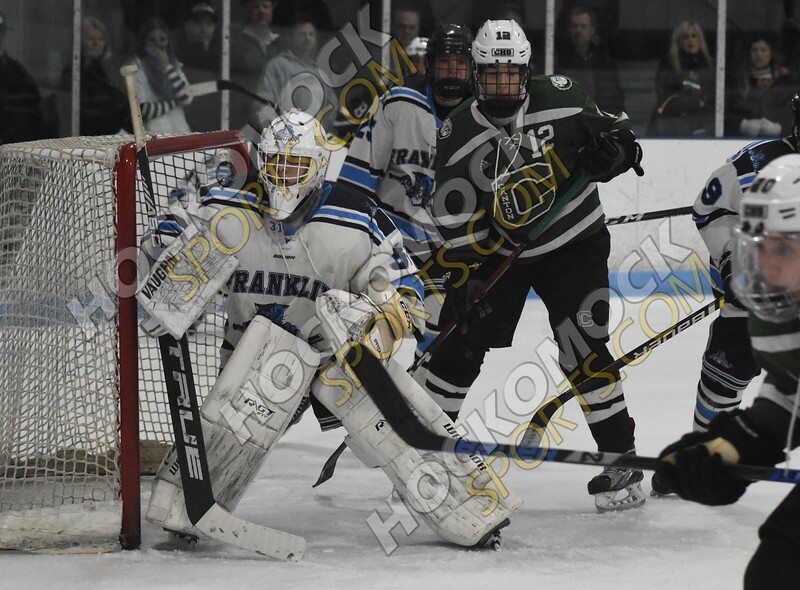 Franklin coach Chris Spillane was understandably frustrated to watch his team let a two-goal lead slip only two minutes after the second intermission." Priod of everyone. But we still have Foxboro Friday and HOCK CHAMPS next week! Lets finish this season BIG!! Congratulations to FHS lady 200 medley swimmers for achieving STATE qualifying time! Congrats to Chris Carey state qualified for 200IM! 64-12 Win over KP. Pins from DiFilippo, Jake, Quinn, Jordan, Colella, MacLean, Sackley and Downing.